Where to Buy Agriform Tablets 20-10-5 100 x 10 Gram, Agriform 20-10-5 Planting Tablet - 1000 x 10 Grams - $75.95 for Sale with Fast Free Shipping! 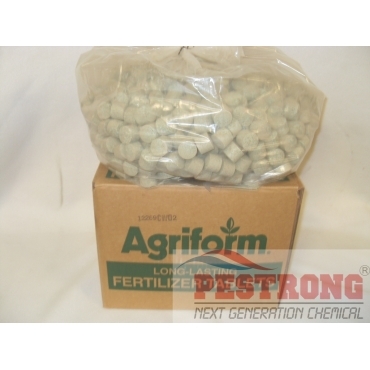 Agriform 20-10-5 Planting Tablet - 1000 x 10 Grams is best used for high volume plantings such as in re-vegetation projects as it is simple to use and great in the heavier soils. Anderson 18-24-12 25% SCU Starter.. Derived from: Urea, methylene ureas, calcium phosphate, potassium sulfate, calcium sulfate, magnesium oxide, sodium borate, copper sulfate, iron sulfate, manganese sulfate and zinc sulfate. * Contains 3.2% slowly available methylenediurea and dimethylenetriurea nitrogen. Works well, came for second order.